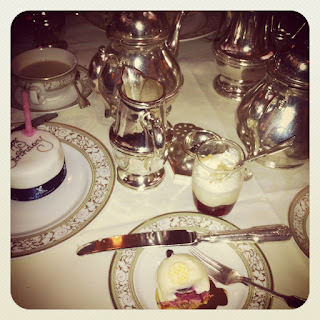 Bread and Better : Birthday Afternoon Tea at the Ritz! Ok so I didn't actually make this but for my birthday I was lucky enough to go the the Ritz hotel in London for afternoon tea. I was so excited and I have to say it totally lived up to my expectations! I don't think I have ever seen so many cakes in my life! It was the best birthday present I got this year.